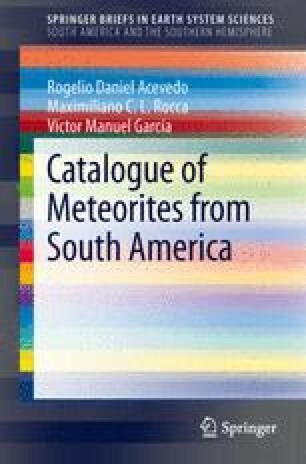 Although meteorites can fall anywhere, it is easier to find them over deflation surfaces that are geomorphological critical localities situated in desert of Atacama (Philippi 1856, 1860; Domeyko 1862, 1864a, b, 1875; Fletcher 1889; Scherer and Delisle 1992; Muñoz et al. 2007) in Fig. 5.1.